At Bill Estes Chrysler Dodge Jeep Ram in Brownsburg, IN, our goal is to provide our customers with a different kind of car buying experience by going above and beyond what is expected from us. Whether you’re in the market for a New Chrysler, Dodge Jeep or Ram or one of our many Pre-Owned Vehicles, we promise to deliver exceptional service AND exceptional prices. We’re the kind of Chrysler, Dodge, Jeep, Ram dealer that takes the time and listens to the wants and needs of our clients. We understand that buying a car is a process that takes a certain amount of careful consideration and our professional salesmen are here to help through every step. We’re the Indianapolis, IN car dealer that wants to make buying a car fun again! We won’t ever make a sale that our customers will end up being unhappy with. We’re proud to be the type of Brownsburg, IN Chrysler, Dodge, Jeep, Ram dealer that strives for 100% customer satisfaction. Maybe you’re looking for a like-new used car in Brownsburg, Avon or Indianapolis. You’re in luck! Our fine used car collection boasts some of the most popular models in the Market; Chevrolets, Fords, Nissans, Mazdas and many, many more. Whether you have near perfect credit or have had some hiccups in the past, our Finance Department can help. We offer a wide range of both Regular and Special Financing options. Our goal is to not only get you approved, but ensure we get you the very best rates available. Our Finance Managers will take the time to explain your car loan and Chrysler, Dodge, Jeep, Ram lease options with you so you’re able to make the most informed decision possible. We don’t want there to be any confusion when you drive away from our Car Dealership near Indianapolis, IN. Need an oil change or other car repair this weekend? 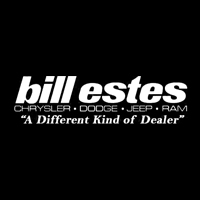 Bill Estes Chrysler Dodge Jeep Ram has all of the certified Chrysler, Dodge, Jeep, Ram parts your vehicle needs. Our professional Service Technicians work on all Makes and Models, whether you drive a Chevrolet, Ford, Nissan or Mazda, our Automotive Technicians can keep your car running smoothly for years and years to come. need to do it yourself, including the oil filter. If you need to change the car battery, we can hook you up with that too – any and all maintenance and auto repair parts you need. We providing drivers in Indianapolis, Brownsburg and Avon with everything from oil repairs, battery repairs, auto glass repairs to transmission or electrical system repairs.